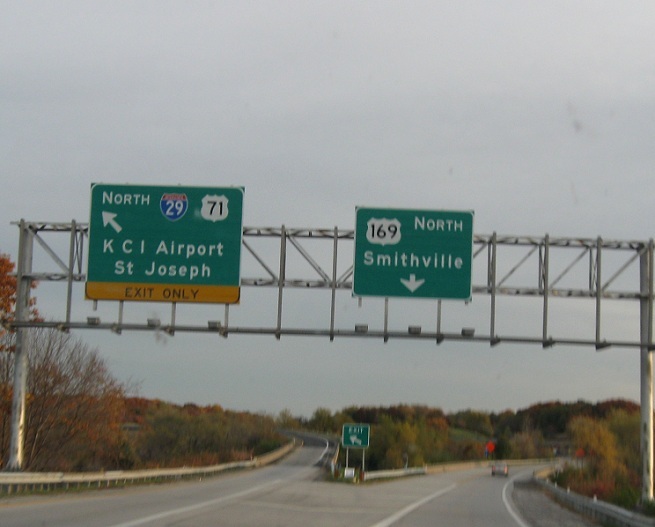 Immediately after the Vivion Rd interchange, we’ll come to a junction with I-29/US-71. There is no southbound access to 29/71 from here. You would have had to exit at US-69 and head south about a block and then get on I-29 South. I’m surprised there was no signage indicating that.